Cryogenic cleaning is an innovative process created to minimise costs and system down time because it allows the machinery and equipment to be cleaned directly on the production line. 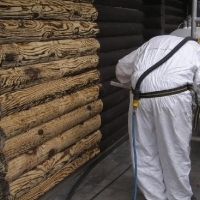 The use of the dry ice blasting cleaning method prevents generating residues such as contaminated water, sand or grit, chemical solvents or other toxic substances which must be disposed of after the cleaning operation. The particles of dry ice that are blasted at high pressure onto the surfaces remove the layers of dirt without creating undesired abrasions. The projected ice sublimates without leaving residues and without contaminating in any way whatsoever. These characteristics make cryogenic cleaning ideal for cleaning industrial machinery without needing to disassembly it, avoiding the costs of stopping production for long periods of time. In continuous cycle industrial processes it is often impossible to avoid the accumulation of dirt on the machinery and in the long run this can have an impact on the machines' reliability, the quality of the final product and, above all, on personnel safety. For this reason many companies include system cleaning in routine maintenance operations in order to guarantee maximum efficiency of the production cycle and safeguarding company competitiveness on the market. Production and maintenance managers all over the world are therefore constantly searching for cleaning methods which can increase product quality, reduce costs and at the same time respect the environment. One of the obstacles in this search is the high level of automation reached by many production plants. In fact, conventional cleaning methods can be excessively aggressive on delicate components, require excessive system down time or even the disassembly of some parts of the production line. Cryogenic cleaning eliminates all of these problems, therefore constituting an important innovation capable of revolutionising the concept of scheduled cleaning and maintenance on industrial systems. It does not generate processing residues after cleaning and there is no need for disposal. No residual material like contaminated water or sand remains. In fact, dry ice sublimates completely after blasting. There are no costs and risks for media disposal, chemical solvents, contaminated water and other toxic substances that could be harmful to the health or the environment. 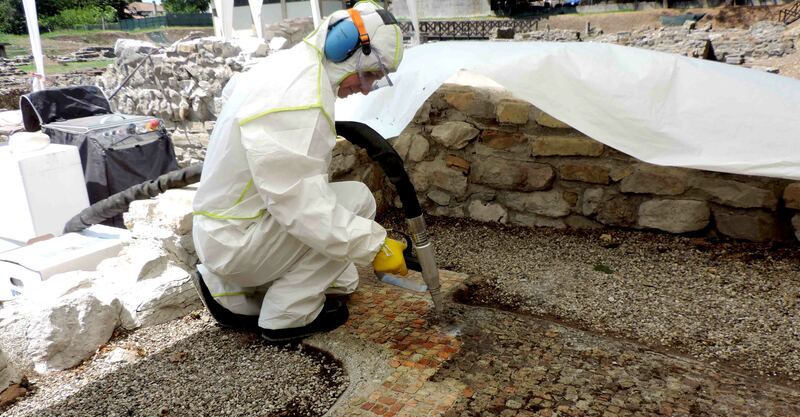 No abrasion, no damage to the surfaces, no risk of surface damage that could occur when using brushes or other methods that are not so delicate. Cleaning and maintenance are carried out directly at the production site and this drastically reduces system down time and the related costs. Machinery, motors, generators, hydraulic or pneumatic devices and electrical systems can be cleaned without or with partial part disassembly. "Dry" processing. The process does not interfere with operation of the machinery and the electrical and electronic components. Cleaning of electromechanical components, electrical panels, hydraulic and pneumatic parts, drive parts and production and transportation lines. removal of dry or wet ink, paper or glue residues. Cleaning of off-set printers, cleaning of hot binding machines, etc. removal of glue, varnish, resins from processing machinery, injectors, transportation chains, drying furnaces, saw bands, etc. 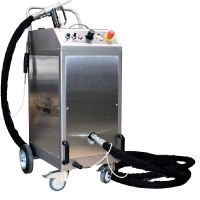 removal of oil, grease and residues in automation, mask and device cleaning, weld cleaning. Cleaning of polyurethane residues and detaching agents in prints, cleaning of varnish residues and colouring on varnish lines. elimination of glue residues on packaging and labelling lines. Cleaning of ovens, tanks and moulds. cleaning of electromechanical drive components and food transportation lines. cleaning of moulds, cleaning of extrusion screws, cleaning of nozzles (especially in the fabrication of nylon and polyethylene sheets). 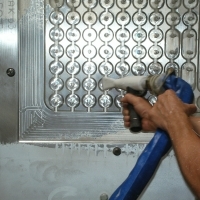 cleaning of moulds, cleaning of gaskets and other components. 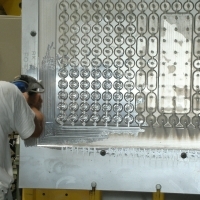 cleaning of moulds and casting plants.